A new junction being built on the motorway linking the M4 and M5 is set to attract new business by easing access to the highway network and opening up Europe’s largest brownfield site. Maccaferri is supporting the project with its Green Terramesh, Paralink and MacWall solutions. The development of the M49 junction is the first Road Investment Strategy scheme to start construction in the south west of England. It is one of six planned multi-million-pound road projects aimed at boosting the economy, tourism and heritage in the region. 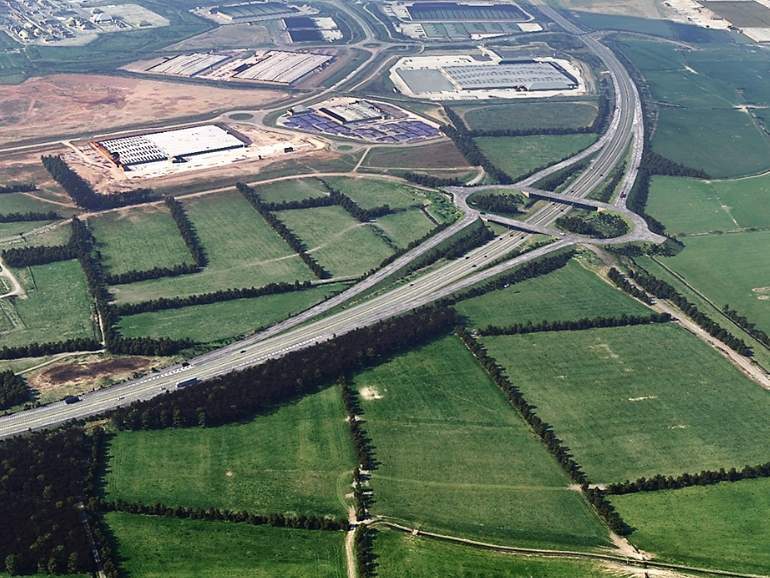 According to Highways England, the new junction will open up Europe’s largest brownfield site for employment land, contributing to economic growth and easing congestion, and has the potential to deliver 14,000 jobs for the area. Located near Bristol, the construction will feature a two-bridge junction, incorporating an existing bridge on the site, with a second bridge being built immediately next to it. They will join into a single roundabout that spans the motorway. New access and exit slip roads will be built on both sides of the motorway junction, connecting it with both northbound and southbound traffic. The new bridge will also include a dedicated lane for pedestrians and cyclists. Two road stubs will be left on the newly completed roundabout to connect the junction to the local road network, supporting future development in the area. The new junction will open up Europe’s largest brownfield site for employment land, contributing to economic growth and easing congestion. Maccaferri worked with main contractor Galliford Try and main designer ARUP to propose the most effective solutions for the project. The final design includes back-to-back soil reinforced slope embankments using BBA Green Terramesh (20,300 m2 face), combined with Paralink reinforced basal platform. This basal platform will be formed with various grades of Paralink (from 200 kN/m to 1,500 kN/m), using a total of 58,000 m2 of high-strength geogrid. The two bridge abutments have been designed using MacWall, achieving a total of 400 m2 and a maximum height of 10 m.
The installation of Maccaferri’s reinforcement solutions on the site began on November 2018, with construction continuing into 2019. Follow us to keep up-to-date on the progress of the new M49 junction.